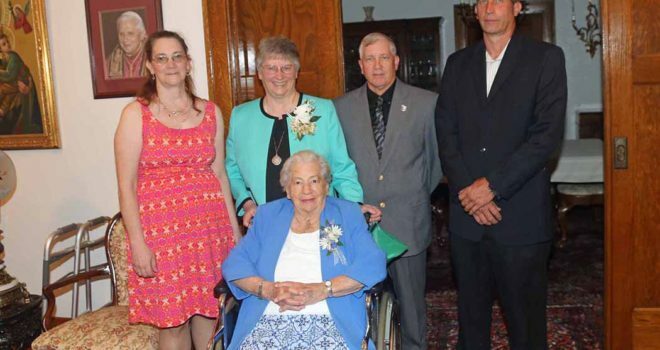 Surrounded by family and friends, Sister Cynthia Wessel celebrated her jubilee on August 14. 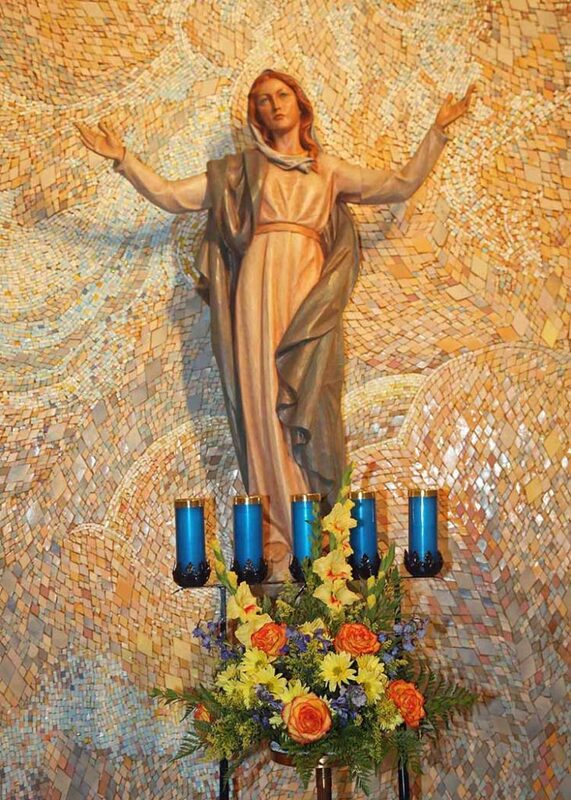 The day began with Mass in the Chapel of the Assumption in the Motherhouse of the Sisters of the Holy Spirit. 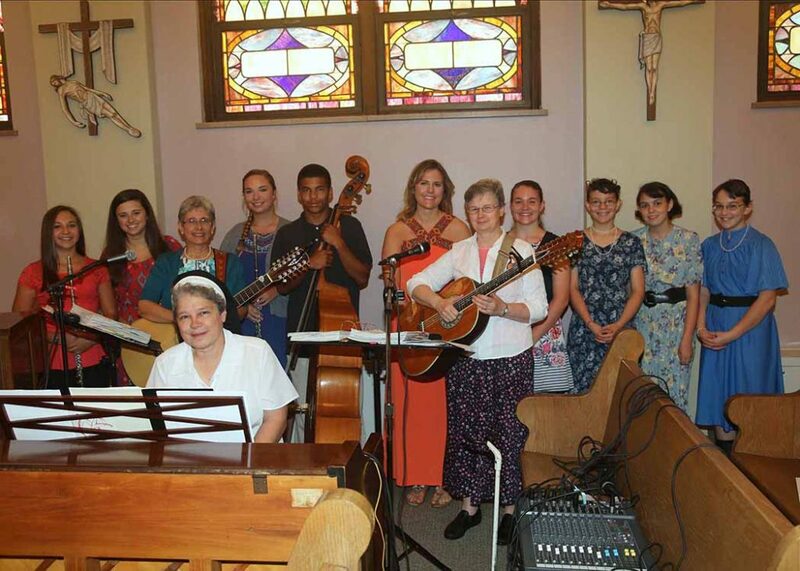 The folk group from St. Agnes Parish in West Mifflin, where Sister serves as principal of the school, provided the music for the Eucharistic Celebration. 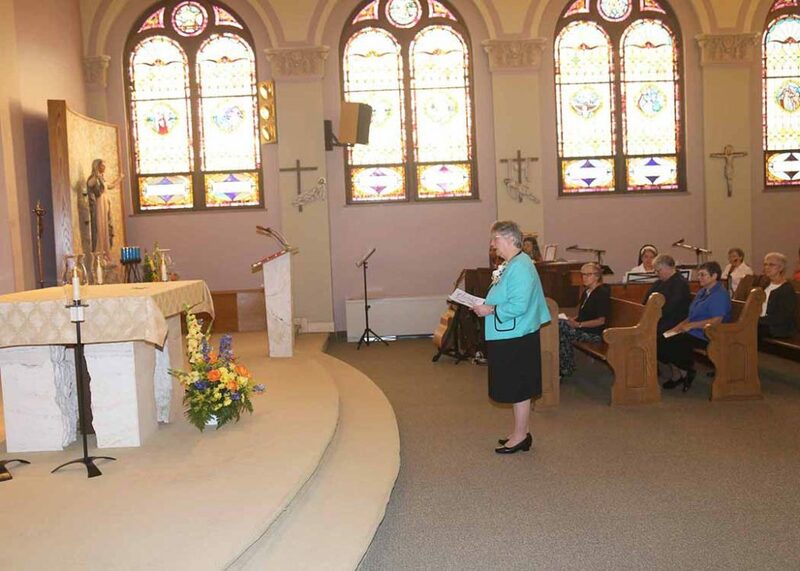 During the Mass, Sister renewed her vows which she professed for the first time fifty years ago. 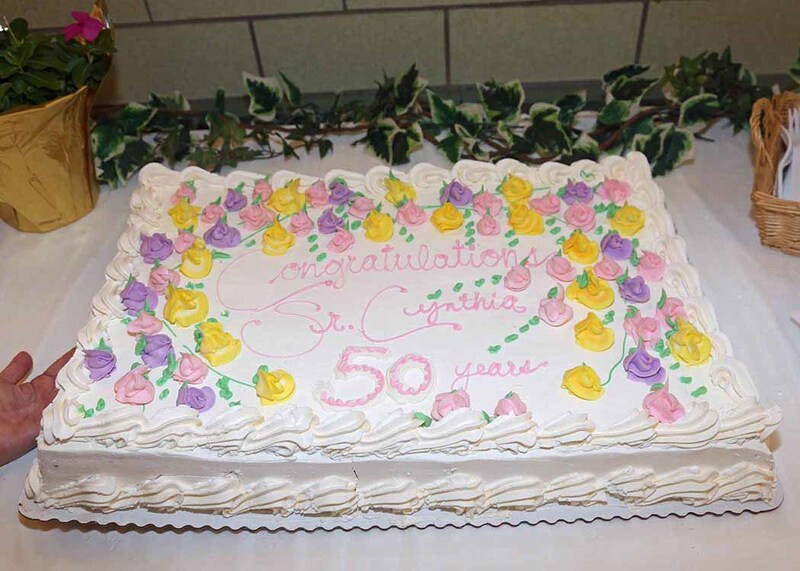 Since that time, Sister Cynthia has devoted her life to enrichment in the lives of children as an educator where she has ministered as teacher and principal in the Pittsburgh and Youngstown dioceses. 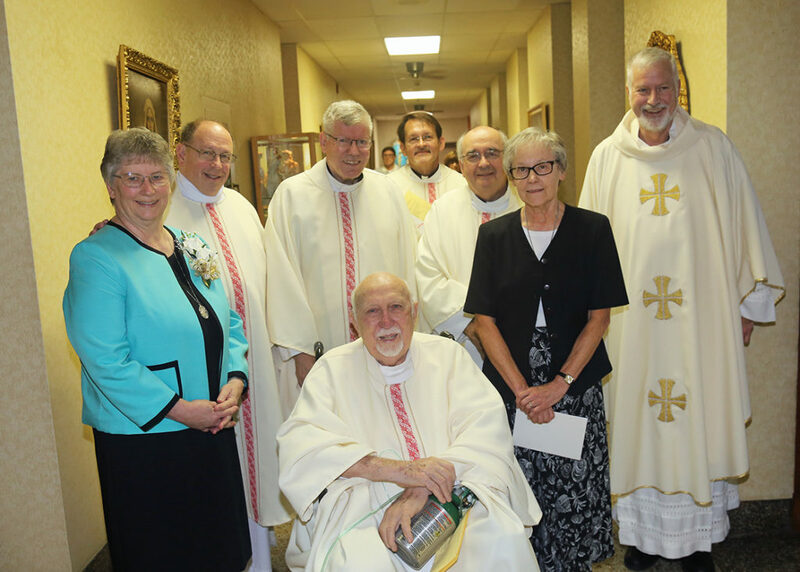 In addition to her role as principal today, Sister is also on the administrative team of the Sisters of the Holy Spirit. 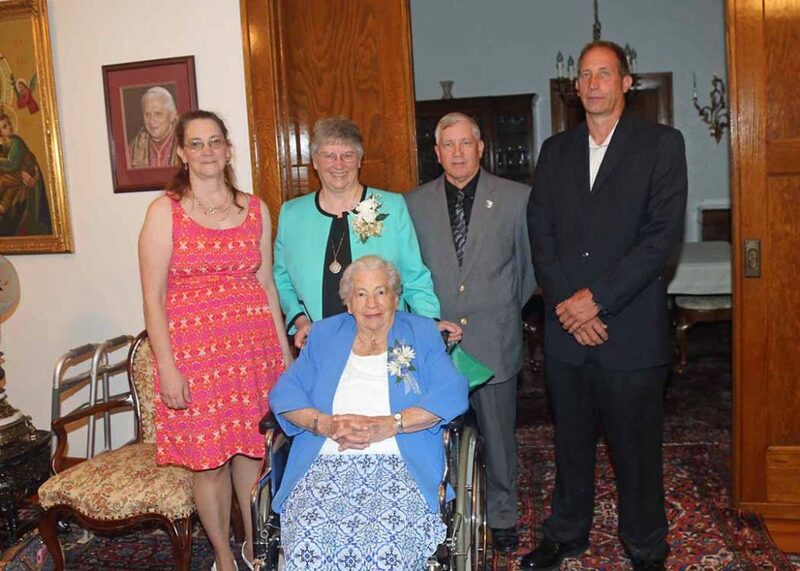 She has been the recipient of the Manifesting the Kingdom Award for her service in the Church and the Golden Apple Award, given for her achievements as principal. 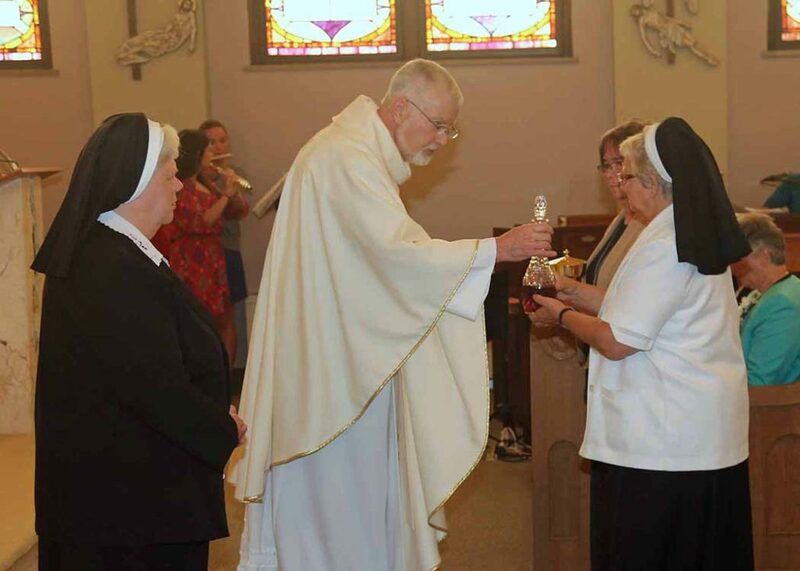 Motivated by the charism of the Sisters of the Holy Spirit, Sister Cynthia reflected that “All that I do within my day flows from God’s love and is discerned through the presence and power of the Holy Spirit guiding, empowering and sustaining me.” Inspired by the teachings of Pope Francis, Sister stated, “The Jubilee Year reminds me that God “delights in mercy” (Mt. 17:18) and so should I!” She went on to say, “There is always something more to discover about our faith.” Sharing the faith is what she continues to do so well.